The problem of high quality training samples and high-dimensional data is encountered in high-resolution image change detection. To address these problems, a novel automatic change detection algorithm in bitemporal multispectral images of the same scene using multiindex information is presented. 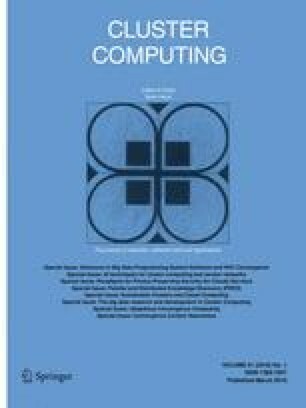 The conspicuous advantages of the proposed algorithm are: (i) the complicated urban scenes are represented by a set of low-level semantic information index (e.g., textural and structural features), the information indices can directly indicate the primitive urban classes and (ii) change detection is carried out automatically using unsupervised approach. The multiindex information map contains vegetation, water and building extracted using enhanced vegetation index, normalized difference water index and developed efficient morphological building index respectively. The proposed algorithm is validated on the multitemporal Landsat ETM+ images over Coimbatore, Tamilnadu, India where auspicious results were achieved by the proposed method. Moreover, the traditional method based on the pixel based change detection has also been implemented for the purpose of comparison to further validate the advantages of the proposed model.